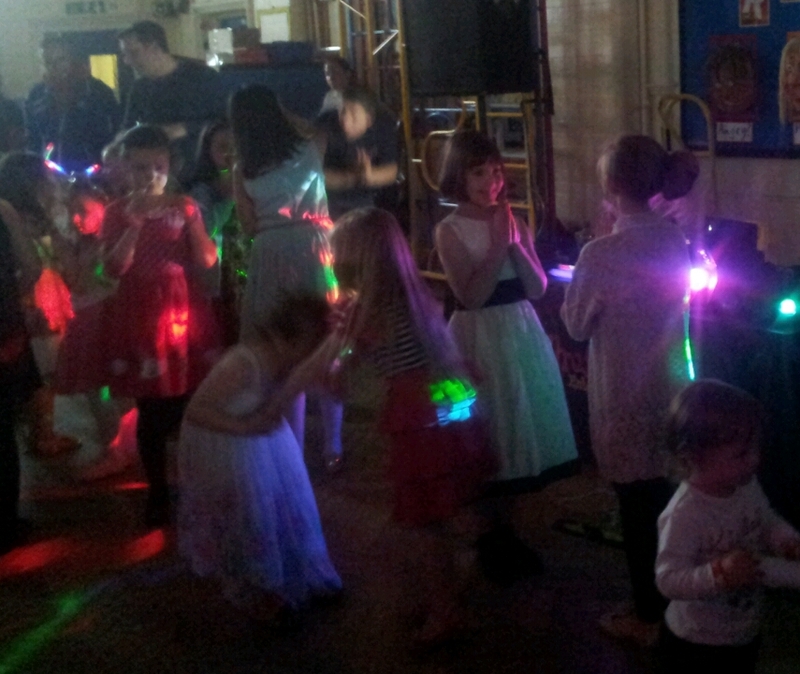 Tonight was the school disco. Sophie has been preparing for the limbo section all week on the way to school. Since the rain started, overhanging branches on our daily comute have been bending lower and lower. Simply ducking to avoid them isn’t enough, Sophie has been loudly encouraging me to follow her suit and limbo underneath. ‘Limbo mama, limbo’, she shouts at me at 830 in the morning whilst bemused office workers try not to stare at our strange antics. All the preparation paid off tonight when she got to lead the limbo. She was so proud. 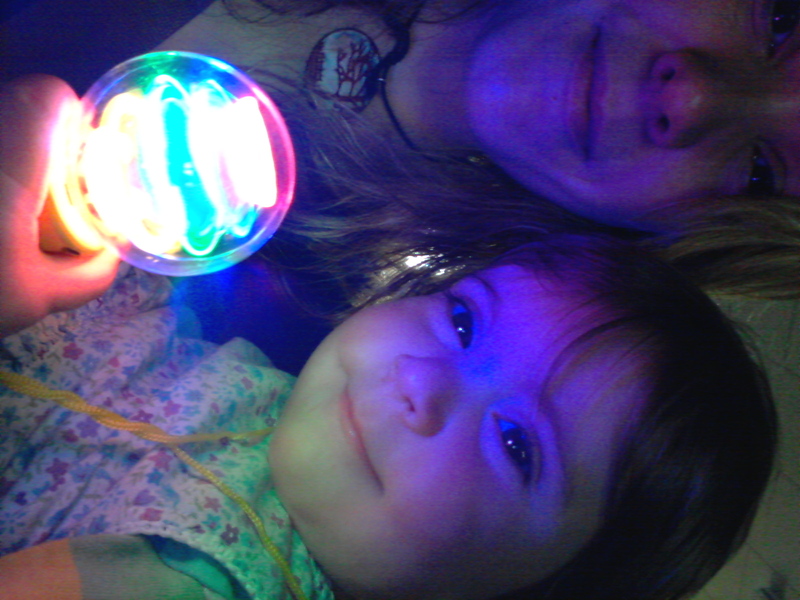 Annie and I enjoyed watching all the dancing, bidding on the silent auction and playing with Annie’s new light spinner. Here is a picture of her with it.